Apple surprised exactly nobody on Tuesday by announcing a new generation of iPhones: the iPhone 6 and iPhone 6 Plus. And it proved the rumormongers right by unveiling the new Apple Watch. But despite the predictability of those announcements, there were some surprises in the details. As was widely expected ahead of the event, Apple unveiled two new iPhone models, the 6 and the 6 Plus. Both sport bigger screens than the last generation iPhone 5s: 4.7 inches and 5.5 inches respectively (compared with the 5s’s 4-inch display). Both models will be available at three different storage tiers: 16GB, 64GB and 128GB models. 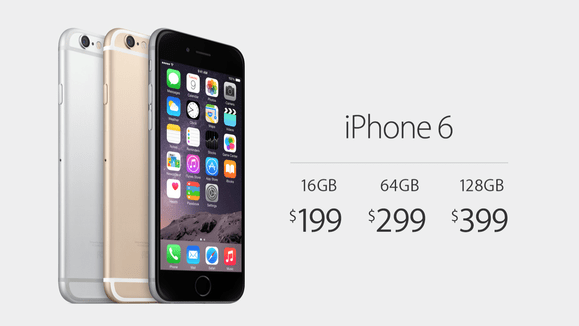 The iPhone 6 models will sell for $199, $299 and $399, respectively, while the iPhone 6 Plus will cost $299, $399 and $499. Both models will be available on September 19th, and preorders should open up later this week. Those displays aren’t just bigger, they’re sharper, too: Apple calls the new screens Retina HD. The iPhone 6 has a resolution of 1334 by 750, with a pixel-density of 326 pixels per inch (ppi); the 5.5-inch 6 Plus goes to 1920 by 1080 and 401 ppi. Apple says both screens are more durable than before (though they aren’t made of sapphire, as had been rumored). Inside, both phones have a new generation 64-bit Apple A8 chip and an M8 coprocessor. The former is 25 percent faster than its predecessor, the A7, according to Apple; graphics processing should be even better than that. Apple says iPhone 6 will get the same battery life as the 5s, while the iPhone 6 Plus (thanks to a bigger battery) should be better. Meanwhile, Apple’s introduction of the Apple Watch is the first time since the iPad in 2010 that the company had entered a brand new product category. While the appearance of a smartwatch wasn’t a huge surprise, the new wearable will sport some intriguing features when it finally ships in early 2015. Perhaps the most intriguing is its support for Apple’s new Apple Pay system (see below), which means you’ll be able to quickly purchase items at select retail stores with a flick of your wrist. Its “taptic” feedback system can notify you of incoming phone calls or help you navigate by applying pressure to your wrist. Apple Watch will come in three different models—from a baseline version to an ultra-luxe 18K gold edition—with two case sizes (38mm and 48mm thick) and six different bands will allow a wide degree of personal customization. And, yes, the gadget will require an iPhone to work. 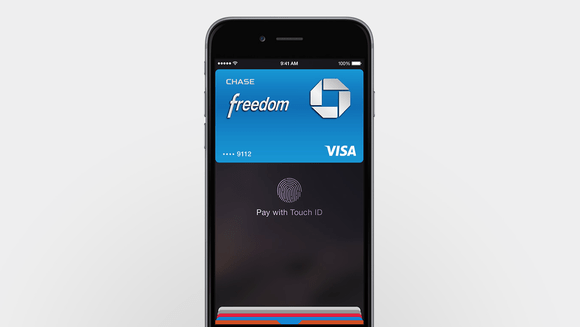 The one less expected bit of news at Apple’s event was the launch a new potential wallet-killer: Apple Pay. It’s a new payment system that works using NFC (near-field communication technology). The idea is that you’ll be able to hold your Apple phone up to a sensor at a store’s cash register, then use TouchID to complete the purchase. The catch there: Apple Pay will be exclusive to the iPhone 6 and 6 Plus, which are equipped with the requisite NFC radio antenna. To start using Apple Pay, you’ll need either a credit card on file with iTunes or a card that you photograph with your new iPhone. Either way, you verify the card, then store it to Passbook. Apple has built a couple of different security features into the process. For one thing, it doesn’t store your card number on your phone or in iCloud. Instead, Apple uses encryption to disguise your payment information. Furthermore, when you hold your phone up to a store’s NFC sensor, the cashier can’t see your card number, security code, or even your name. And Apple itself will turn a blind eye to your transactions, so it won’t know where you’re shopping or how much you spend. If you lose your phone and are worried about someone using to pay for thind, you can shut down payments from that device using Find My iPhone. We’ll know a lot more about Apple Pay, along with the new phones and the Apple Watch when they all ship. In the meantime, keep an eye on Macworld for continuing coverage of Apple’s latest fall product blitz.